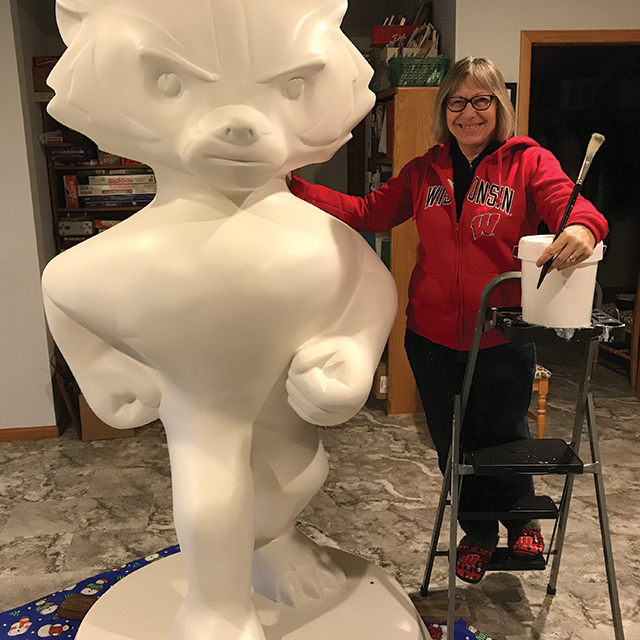 Bucky sure does clean up nicely! 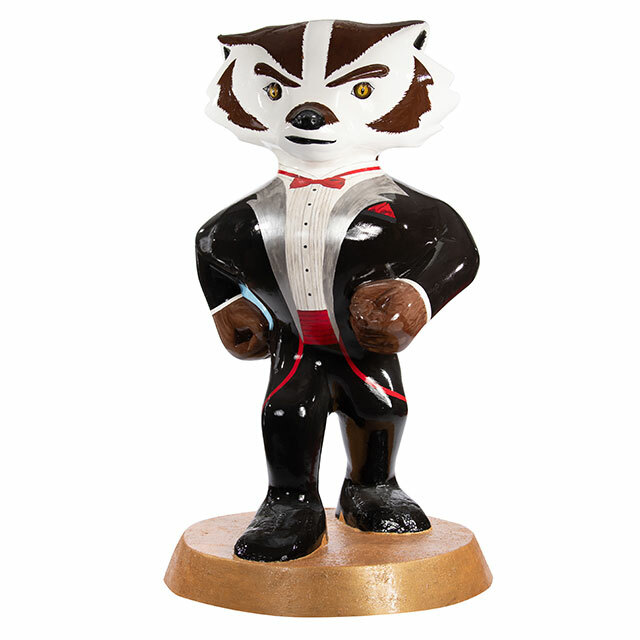 This statue features him with his best outfit on, and he's all ready for his big debut. Art makes me happy, whether viewing it or making it. Just mixing turquoise on a Wisconsin winter day keeps me optimistic. Painting is a way to share my joy of the world, and I am humbled and happy each time someone buys a piece of my work for their home. I paint with a group every Tuesday and take occasional workshops in varied art mediums. Visiting museums and other art venues expands my art ideas.